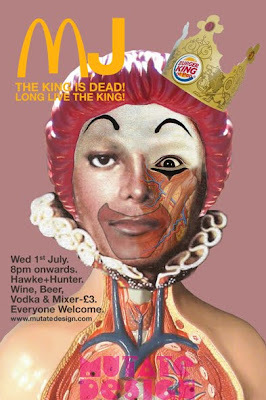 These posters I designed for a one-off party at Edinburgh's Hawke & Hunter bar/ hotel/ restaurant. 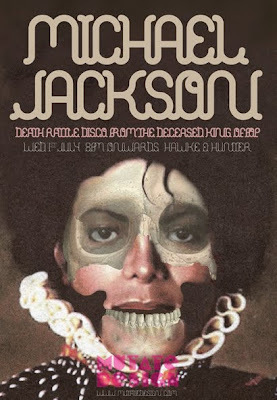 I have been using Michael Jackson's death as inspiration for illustrations ever since and so it has become an ongoing project. 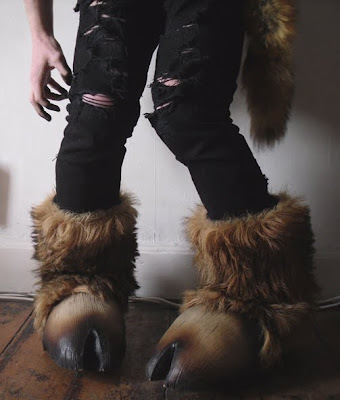 I designed these 'monster' boots to be worn for a photoshoot with The Leither magazine. The article was about how in 2010, none of the things promised to us as children such as flying cars, holidays to the moon etc, have happened, in fact we are edging more towards a Mad Max-esque apocalyptic future where we will be fighting over the last remaining finite resources on a dying planet. With this Mad Max meets Metropolis theme in mind, I made these boots whilst my friend Sarah Green hand made the white corset worn in the photo. The photo was taken at one of Edinburgh's most unique houses - Jo Callis' flat in Marchmont. Mr Callis used to be in Human League and as you would expect from a band with such a forward-thinking sound, his flat reflects his obsessions with sci-fi and B-movies. Photo by the incredibly talented Ryan McGoverne. 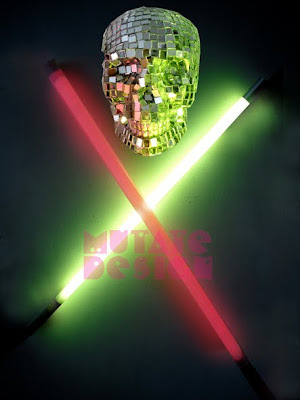 I made this disco ball in the shape of a skull for use in discotheques. Here is the disco skull at work during the day, with natural light.